Interest rates on U.S. mortgages continued to surge last week, rising above 4 percent for the first time in a year and driving down demand from homeowners to refinance, data from an industry group showed on Wednesday. Fixed 30-year mortgage rates climbed 17 basis points to average 4.07 percent in the week ended May 31, the Mortgage Bankers Association said. Rates have risen by 48 basis points in the last four weeks, with the most recent upswing driven by nervousness that the Federal Reserve could slow its economic stimulus efforts sooner than had been anticipated. Last week's interest rate was the highest since April 2012 and the first time rates have been above 4 percent since early May of last year. With the Fed keeping borrowing rates low through its massive bond buying program, historically cheap mortgages have been one of the drivers of the recovery in the housing sector as the affordability lured in buyers. But the recent rise in rates could test potential buyers' resolve. MBA's seasonally adjusted index of mortgage application activity, which includes both refinancing and home purchase demand, tumbled 11.5 percent last week. Demand for refinancing was hit hardest by the acceleration in rates, with applications slumping 15.0 percent. The refinance share of total mortgage activity fell to its lowest level since July 2011 at 68 percent of applications from 71 percent the week before. The gauge of loan requests for home purchases -- a leading indicator of home sales -- held up relatively better, falling just 1.6 percent. 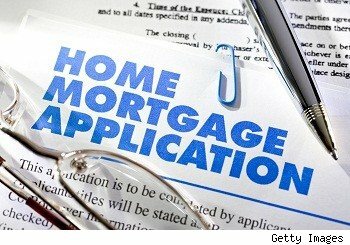 The survey covers over 75 percent of U.S. retail residential mortgage applications, according to MBA. Along with low interest rates, rising prices, a decrease in foreclosures and a tighter supply of available homes have all helped the housing sector get back on its feet. Fed chairman Ben Bernanke said last month the Fed could scale back the pace of its bond purchases at one of the "next few meetings" if the economic recovery looked set to maintain forward momentum. The Fed is currently buying $85 billion a month in bonds and mortgage-backed securities. Along with some improving economic data, the comments sowed concerns among investors that the Fed's ultra-loose policy could end sooner than expected. Are No-Cost Mortgages Always the Best Deal?